This post was inspired by recent guest blogger Jaclyn Hugg, who sent over these fantastic goodies from MovemberPins and a good luck elephant. If you haven't yet read MovemberPins: Supporting Men's Health Year-Round, be sure to do so! 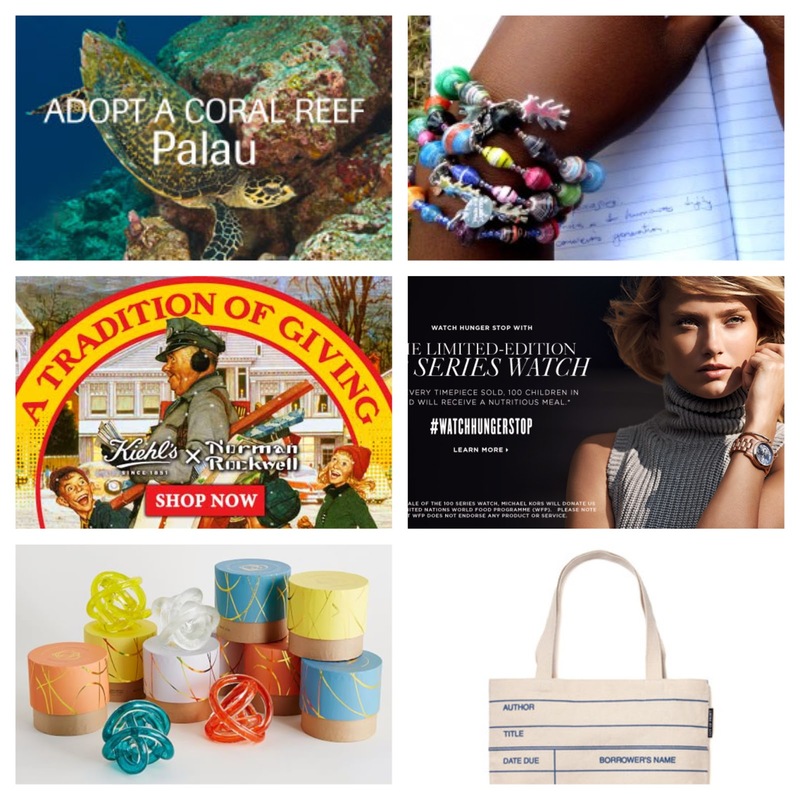 Buy a gift for yourself, a friend, or a family member through one of the above organizations to give a truly wonderful gift to someone else. If you have another favorite organization who matches gift for gift, suggest an organization in the comments or Contact AWW!